Kaplan Pharmacology Medical’s USMLE Step 1 Lecture Notes 2018: Pharmacology offers an in-depth review with a focus on high-yield topics – a comprehensive approach that will help you deepen your understanding while focusing your efforts where they’ll count the most. Used by thousands of medical students each year to succeed on USMLE Step 1, Kaplan’s official lecture notes are packed with full-color diagrams and clear review. Organized in outline format with high-yield summary boxes for efficient study. Clinical correlations and bridges between disciplines highlighted throughout. Full-color diagrams and charts for better comprehension and retention. 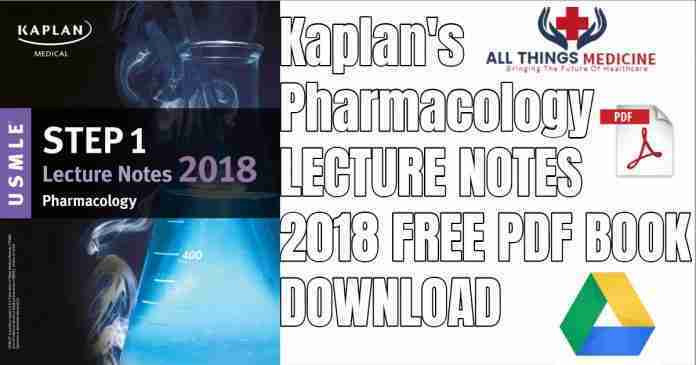 Kaplan Pharmacology lecture notes for the USMLE step 1 provides easy to remember text that correlates with Kaplan’s lecture videos. Everything that a medical student has to know about Pharmacology to score the highest in the USMLE exam is within the span of this single book. 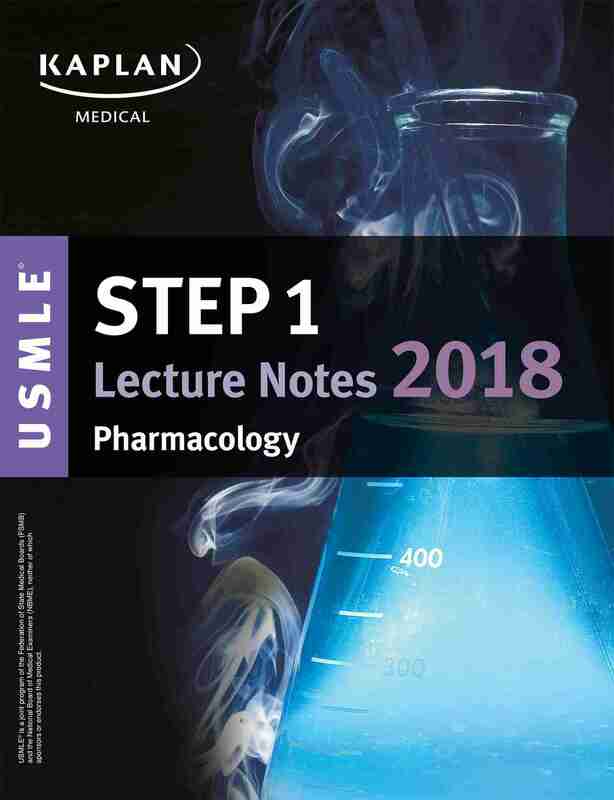 If you dream of getting a residency in the USA or are a US candidate, All you need to know about Pharmacology is within this book and the videos of the lectures. This book gives an overview of all the lectures so that your mind remembers them even better and all those concepts that were not clear are vividly visible to you now. Be the best in your profession. Follow your dream. This is the book for you. This site complies with DMCA Digital Copyright Laws. Please bear in mind that we do not own copyrights to this book/software. We’re sharing this with our audience ONLY for educational purposes and we highly encourage our visitors to purchase the original licensed software/Books. If someone with copyrights wants us to remove this software/Book, please contact us. immediately. You may send an email to emperor_hammad@yahoo.com all DMCA / Removal Requests. Hamad Haider Tareen is a final year Medical student at Bolan University of Medical and Health Sciences. Alongside Medicine, Photography, and Travelling, He is a chocolate lover who loathes vegetables but not vegans. Allthingsmedicine extends prime content regarding USMLE, PLAB, MRCP, AMC, MCCQE and other medicine and surgery related opportunities and information for medical students around the world, also the same being our sole aim.